BUDAPEST (AFP) — Hungary said Friday it has completed a second anti-migrant fence on the Serbian border, a “smart” barrier with night cameras, heat and movement sensors and speakers blaring warnings in five languages. “Hungary is defending its border, and the Schengen zone at the same time,” Karoly Kontrat, an interior ministry state secretary, told a press conference in Roszke beside the fence on Hungary’s southern frontier. More than 400,000 migrants passed through Hungary in 2015 before a first fence was built and a deal between the European Union and Turkey and other measures dramatically slowed down the influx. But Budapest says that the new two-metre (6.5-foot) high fence, an external border of Europe’s Schengen zone, is to prepare for an expected increase in numbers later this year and a possible breakdown of the EU-Turkey accord. Kontrat also said the bloc had failed to set up hotspots for asylum-seekers in Libya or turn back boats carrying migrants headed for Europe from Africa. 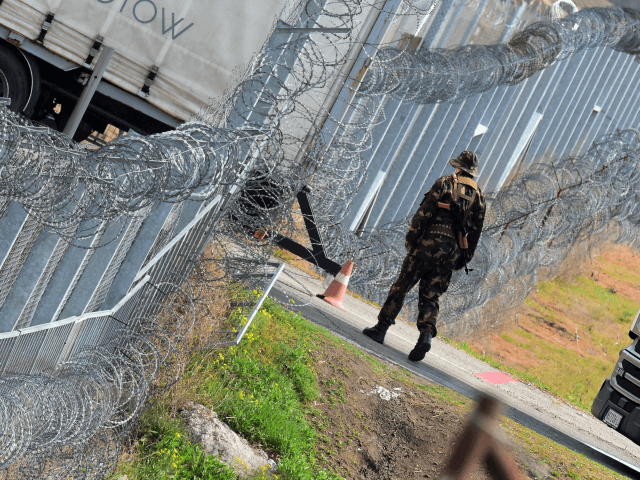 The fence, made of NATO-standard welded wire, was erected by 700 prisoners. Prime Minister Viktor Orban said in a radio interview Friday that the strengthened border fence system would “ensure Hungary’s security for a long time”. Orban, who has called immigration “poison” and a “Trojan horse of terrorism”, has been criticised by Brussels and rights groups in Hungary and abroad for his tough anti-migrant line. A law enabling the automatic detention of all asylum-seekers entering the country in “transit-zone” camps — people can leave only if they return to Serbia — comprising shipping containers came into force last month. Separately this week the EU launched legal action against Hungary over legislation that critics say targets the Central European University in Budapest, a highly respected postgraduate university founded by billionaire George Soros. Orban on Friday called the Hungarian-born Soros, 86, who funds myriad non-governmental organisations throughout the region, a “public enemy” seeking to undermine Europe by promoting immigration.